In the market for a new front door? Here are five tips to help you choose. Like any home improvement, cost will obviously play a major role in your decision so it’s important to start by determining your budget. It’s helpful to get some assistance from an expert – try the pros over at Peach Building Products for a free estimate. Wood: Wood is generally the most stylish option for a front door. 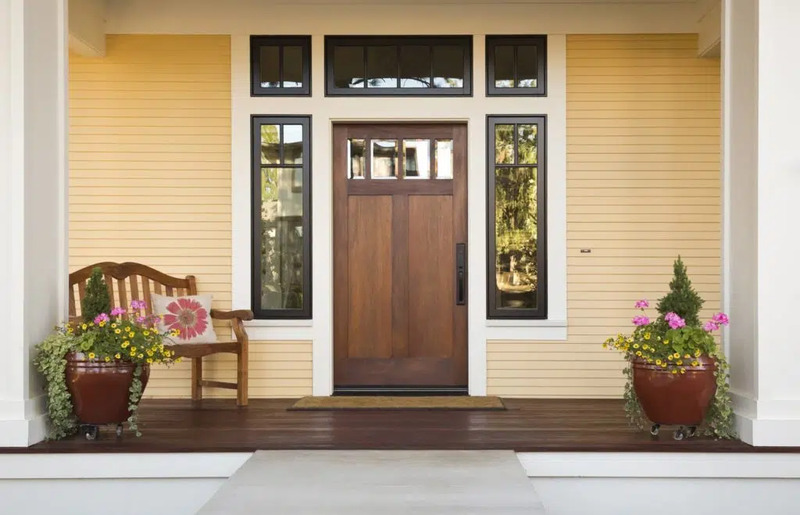 Many types of wood are used for front doors, although oak, cherry, Douglas fir, and Walnut are popular choices. However, wood is typically the most expensive choice, particularly for higher-end woods, and is affected by exposure to the elements, thus requires maintenance. Fiberglass: Fiberglass is a budget friendly option, is more durable than wood, and can be customized to look very close to real wood. Height: 80 inches is traditional, although 96 inches is becoming more common in newer homes. Width: 36 inches is traditional, but 30- and 32-inch doors are now seen as well. Thickness: Standard thickness for exterior doors is 1 ¾ inches. Wood doors available up to 2-1/4 inches for added strength. Type: Many door types are available, but double doors, French doors, or standard single doors are all very common. Current popular styles are Craftsman, Mid-Century Modern, Cottage, Mission, Contemporary, Classic, and Rustic. Paneling: Doors with a single panel up to even five panels are very common. Panels may be different sizes or all the same. Glass: You may want to include partial-view to full view door glass within the door itself, with many shapes, sizes, textures and configurations to choose from. Hardware: There is a range of hardware to choose from – take a look at some of the beautiful hardware available. Contact a Peach Building Products professionals about our incredible line of entry doors with options for every style and budget. If you can imagine it, we can custom create it. 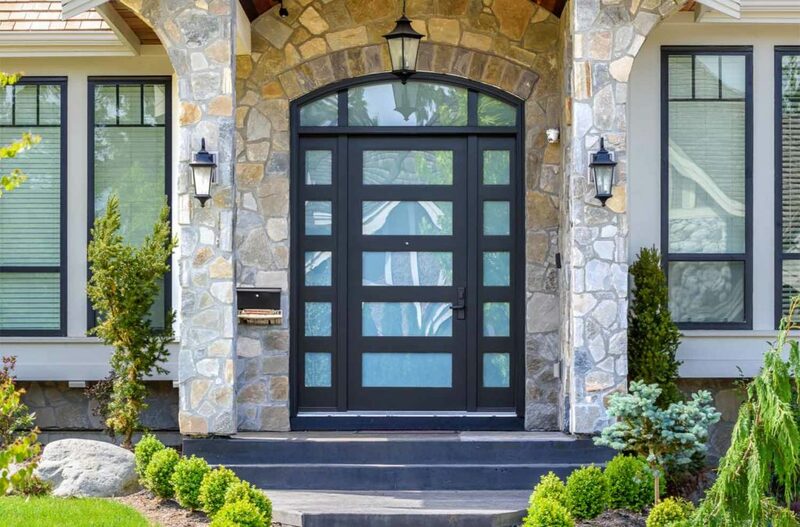 We install entry doors in an array of materials ranging from specialty glass, privacy glass, wood, and fiberglass. 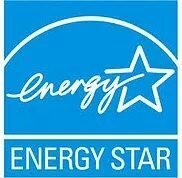 Call (801) 566-1255 or fill out a quick quote form today.